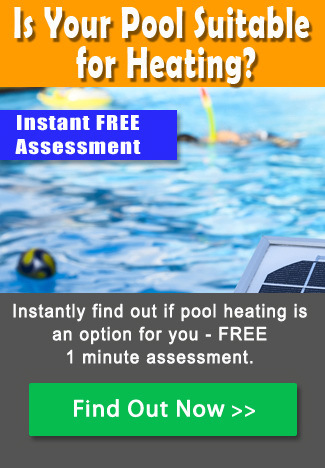 Solar heating your pool sounds simple. Sound obvious. But there’s more to it than meets the eye. Read on. You’ve heard about solar heating your pool. You’ve heard how it can extend your swimming season in a way that won’t either break the bank or fracture the ozone layer. But how does it work? And does it work? Is solar pool heating really all it’s cracked up to be? Does it give your body the welcoming embrace of warm water, or is the big wet thing you’ve just flung yourself into something that only Chilly Willie the Penguin would approach with any genuine sense of enthusiasm? The fact is, that if installed and used properly, solar heating may well be the best way to go for the simple family or recreational swimmer. Especially in Australia. Solar pool heating is fundamentally simple. Water is pumped from your pool through a solar collector – basically either a series of rubber tubes (strip solar systems) or solar panels – which are usually mounted onto the roof of your house. As the water runs through the solar collector it becomes heated by the sun. The heated water then flows back through a series of pipes into your pool. The solar heating system can be controlled either manually or automatically. Most systems function via a digital controller which automatically directs water to the roof when there is both sufficient sunshine and the pool temperature requires it. And, yes, it even works on cloudy days – though, to be fair, with a reduced effect. Solar pool heating provides consistent warmth to the pool during the summer months, and significantly extends the swimming season into the Spring and Autumn. Solar heating is the environmentally friendly and natural way to heat your pool. What’s more, it’s not only the ozone layer that will be giving you high fives for installing it; because it has virtually no running costs, your bank manager will be right there high fiving you along side of it. By How Much Will It Extend My Swimming Season? As a general rule, solar heating will extend the swimming season of your pool by around 4-6 weeks either side of your regular season. So, if you live in Brisbane, and your normal swimming season is from November to March, a solar heated pool will extend the usability of your pool from at least October to April – possibly even longer depending on a number of other factors (see below). For a review of the options for solar pool heating in Sydney, Brisbane and Melbourne, please check our article on Solar Pool Heating Sydney. How Much Warmer Will the Pool Be? As a rule of thumb, solar systems are capable of warming the water temperature of your pool by around 5-8ᵒ C, and even by as much as 10ᵒ C.
The actual increase in temperature, however, will depend on a number of factors. Principal among these are the size of the collector area – in other words, the m2 of the solar collectors that are feeding your pool. Other factors include orientation and pitch of the roof on which the solar collectors are located, the construction material of your roof, the extent to which the roof and/or pool is covered by shade, etc. In general, the solar collector area should be at least equal to 80%, and more typically at least 100%, of the area of your pool. The optimum orientation is north, since north facing roofs receive the most amount of direct sunlight. Having said that, even if your collector is oriented up to 45ᵒ east or west of true north, you should not experience a significant reduction in performance. The next most efficient orientations are either west facing roofs or flat roofs. In an ideal world, solar collectors should be pitched (i.e. tilted) at an angle roughly equal to your geographical latitude plus 10-15ᵒ. This is, however, not essential. And, of course, if you’re putting them on your roof, you’re going to be limited by the existing pitch of the roof. Metal roofs conduct heat more efficiently than tile roofs. Fibro roofs are also good. Slate roofs are not particularly solar-friendly. Dark coloured roofs conduct heat more efficiently than light coloured roofs. Solar collectors come in a variety of colors. Black is the most efficient. However, if you’ve got a light coloured roof and want your collector to match or compliment its colour, you may need to increase the m2 of the collectors. Obviously, direct shading over the collectors will affect their performance. Additionally, if your pool is shaded, then the water temperature will be lower and additional collectors may be needed to counterbalance. Pools located in windy areas loose heat more rapidly than those in still areas. If your pool is in a naturally windy location, you may need extra collectors. Using a pool cover in conjunction with solar heating the water will significantly increase the water temperature – and it will mean you’ll be able to swim earlier in the day. How Much Does Solar Heating Cost? 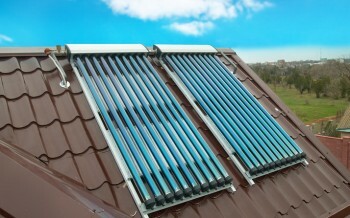 To buy and install a solar pool heating system generally costs between around $3,000 and $5,000. Of course, the cost of the system is directly proportionate to the size of your pool. 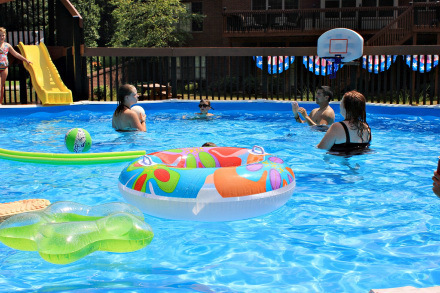 Depending on the size of your pool and the sophisticated of the system, system kits range in price from around $1,000 to a little shy of $5,000. 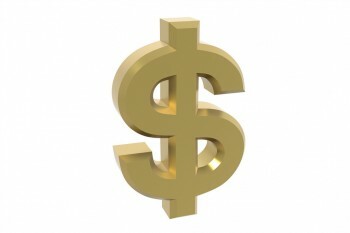 Installation costs range from between $600 to around $2,500. In general, though, for a typical 8m x 4m pool, the system kit is likely to cost around $2,500 and the installation another $1,250 – $1,350 – making for a fully installed cost of around $3,800. Although it is usually advisable, and in some states mandatory, to have the installation handled by licensed and/or certified professionals, DIY options are available for anyone with the suitable plumbing or handyman skills. Solar collectors – the tubes or panels through which the water flows in order to be heated by the sun. Booster pump – assists in circulating the water from the pool and through the existing filter/circulation pump through the collectors and back to the pool. Controller – an automatic or manual means of directing the timing of the flow of water through the solar system. The controller is a wireless monitor that registers the solar temperature of your roof, or collector location’s, solar temperature from up to 200m in order to activate, or for you manually to control, your solar heating system. Though be warned, due to complications in installation, the DIY solar pool heating options can often end up being less cheap than it may have first appeared. The good news is that virtually all the costs of solar pool heating are upfront. Once you’ve purchased and had the system installed, it costs less than a dollar a day to run. To get an idea of what this means in practice, it is worth comparing the upfront and running costs of solar heating alongside other pool heating options. In short, although a solar heating option is likely to cost more to purchase and install than, say, a gas heated option, the savings in running costs will more than pay for itself over time. And the pay-back time on the extra investment is attractively short. You may read our article on the 4 top pool heating options for a detailed discussion and comparison on the different pool heating options. 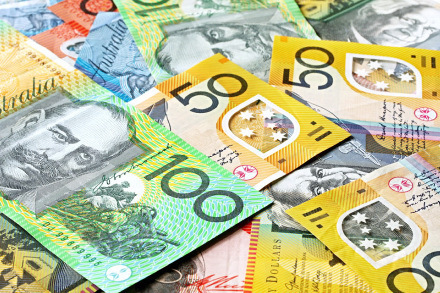 The cost of your solar heating system is going to be influenced by a number of factors. However, again as noted above, you may need to increase the m2 of your collectors depending on the orientation, pitch, roof construction, shading, etc. of your specific pool and property. Also, if you’re planning on using a collector colored anything other than black, you should add at least another 20% to the m2 of the collectors required. And, of course, the cost is influenced by the type of solar heating system you decide to buy. See below. What Types of System are Available? Strip or ribbon collectors – (sometimes also called soft collectors) are generally made from rubber or plastic. This system has been around for over 30 years and is highly flexible. It can be installed on virtually any surface, including irregularly shaped surfaces. Basically, it’s a system of tubes that are fastened with adhesive to a roof and running horizontally to allow the pool water to flow through them and be heated by the energy of the sun. Panel collectors – are semi-rigid, solar energy collecting panels usually made from polypropylene. Though less flexible than the strip or ribbon system, the panel collector systems are generally longer lasting, work better for steep roofs, and, because they are not just simply glued to the roof, can be more suitable in locations prone to extreme wind gusts. They are also proof against the depredations of cockatoos. In addition, there are some advanced panel controllers that utilise copper, aluminium, or vacuum sealed glass contained within the panels to accelerate the solar-water heat exchange. What Type of Installation is Available? Divert Valve Systems – With this system, the existing main water circulation pump is augmented by a valve that diverts the water into the solar heating system when there is sufficient sunlight to increase the water temperature, and closes the diversion when the potential for heating is either not sufficient or not required. Independent Systems – These can run without the main circulation pump being turned on. However, they do require that the pool has been built with pipes that are dedicated to solar heating. Generally, installation should take 1-2 days. Depending on your state’s requirements, you should check that the installing professional has a BSA (Building Service Authority) license to install your system. Also, it’s worth knowing that the Australian Standard for Solar Pool Heating is AS3634-1989. As long as your pool and property isn’t overly burdened by the various factors affecting pool temperature (see above), then there’s no reason why solar pool heating shouldn’t be a viable option for you. The question here, though, is less whether your pool is suitable, than whether what you want to get from your pool is suitable. If you’re looking to swim in warm(ish) water 365 days a year, and you don’t happen to live in the tropics, then you’re going to need to pay up and get either electric or gas heating for your pool. If, however, you’re a recreational swimmer who’s looking simply to extend the seasonality of your pool, then solar power is the way to go. Like most things in life, it ain’t what you do it’s the way that you do it. 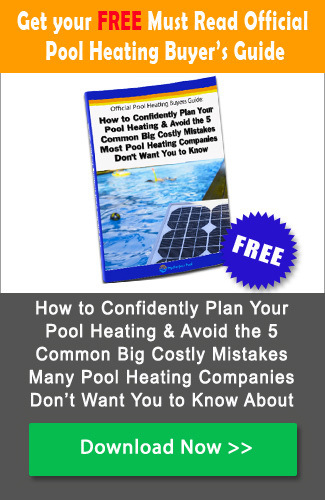 So here are three tips for how to do it, how to use, and get the most out of, your solar heated pool system. Don’t run it when you don’t need it. Especially, don’t run it when you’re out of town, or during the winter months. That having been said, and especially during the swimming season, make sure you run the system for an hour a day in order to flush out the build-up of gunk and keep the system sanitised. If you have a solar controller, you shouldn’t need to worry about this – it should do it automatically. Choose a company that has both experience in installing and maintaining the system you have selected. Ensure that the company has the appropriate licenses as a plumber r solar pool heating contractor as required by your state. Shop around for the best prices and on-going service. Look for extended warranties. A-10 year warranty should be common, but watch out for warranty exceptions (e.g. cockatoos), and read the small print. So, when diving headlong into the hopefully warm waters of solar pool heating, don’t be prey to a nameless dread. Know what you’re throwing yourself into. In general, the water’s pretty inviting. We would love to hear about your experiences with Solar Pool Heating – The Complete Buyers Guide. Please leave your comments below and share the article with anyone you think may be interested.